[패턴영어] ~는거 괜찮아? Are you okay with eating alone in a restaurant? 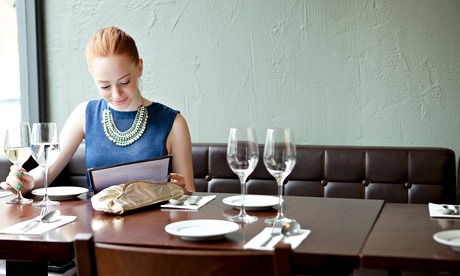 Are you okay with eating alone in a restaurant? 너는 식당에서 혼자서 식사하는 거 괜찮아? 너 식당에서 혼자서 식사하는 거 괜찮아? 너는 애슐리가 드러나는 옷 입는 거 괜찮아? Are you okay with Ashley wearing revealing clothes? 튀긴 닭을 주문하는 거 괜찮아? Are you okay with ordering fried chicken? 수동변속기 차량을 운전하는 거 괜찮아? Are you okay with driving a stick-shift? 방문객들을 즐겁게 해주는 거 괜찮아? Are you okay with entertaining visitors? 시간외 근무를 하는 거 괜찮아요? Are you okay with working overtime? 집에서 애완동물들을 키우는 거 괜찮아? Are you okay with raising a house pet? 우리 엄마랑 함께 사는 거 괜찮아? Are you okay with my mom moving in? A: Are you okay with eating alone in a restaurant? 식당에서 혼자서 식사하는 거 괜찮아? B: It doesn’t bother me. A: Are you okay with driving a stick-shift? B: I’m rusty, but I can manage. 실력이 녹슬기는 했지만, 할 수는 있지. A: Are you okay with my mom moving in? B: We’re one big happy family.